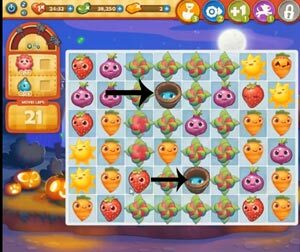 These Farm Heroes level 277 cheats and tips will help you beat level 277 of Farm Heroes. 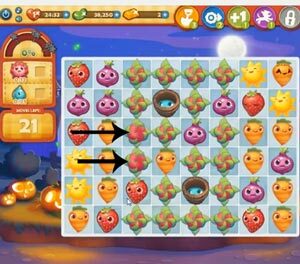 The objective of Farm Heroes level 277 is to collect 12 flowers and 25 droplets in 22 moves or less. The flowers are the hardest cropsy to get, so youll want to go for them first. There are a lot of them, thankfully, so getting all 12 shouldnt be too difficult. Try to make vertical matches alongside columns of flowers. 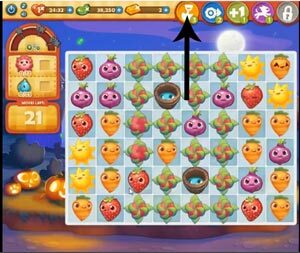 This will help you get more flowers for far less moves. After youve collected a substantial number of flowers, move on to the water buckets. By the time you focus on the buckets, many of them should be close to overflowing considering how close in proximity they are to the flowers. When youve released some droplets, try to make matches with them around the remaining flowers you need. This will kill two birds with one stone, saving you some moves and some stress. As with most levels, shovels are useful tools to have on your side. They will not only help you dig up some flowers, but they can be used on water buckets as well. Use them whenever you get stuck!